Reliance JioPhone 2 is on sale today on the company's website. The sale started from 12 pm. The company had launched its handset last year during its 41st annual general meeting (AGM). The company's previous flash sales have also garnered big sale numbers for the Mukesh Ambani-led company. For the recently-launched JioPhone 2, the company has opted for flash sales instead of pre-booking like JioPhone 1. The latest feature phone is equipped with all basic facilities a 4G smartphone could offer, including access to popular apps like WhatsApp, Facebook and other online platforms. The first version of JioPhone was launched in July 2017. The JioPhone 2 first went on sale in August 2018 and has since been offered via two flash sales. Today's sale would again be a flash sale, and hence it is important that the buyers ;log on as quickly as possible. As the name suggests, a flash sale depends upon available stock and is applicable till a limited period of time. Considering the popularity of JioPhone, the sale might get over in a few minutes. 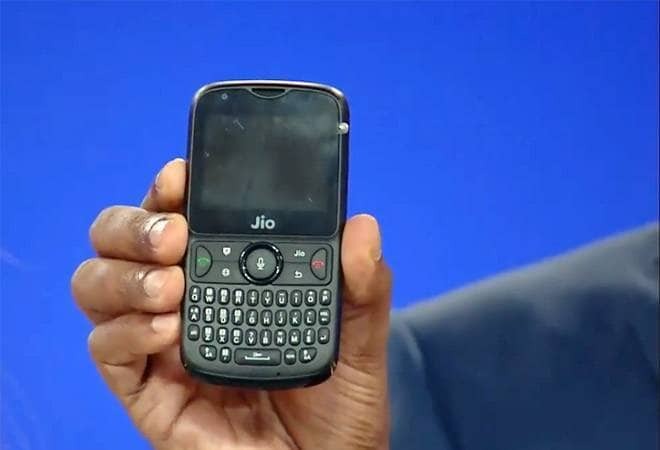 The device can be purchased on Jio's official website and even authorised retailers. The company claims the device should ideally reach the buyers within five to business days or the buyer can pick it up themselves from the retailer. The JioPhone 2 is priced at Rs 2,999 and comes with QWERTY keypad, giving it a Blackberry-like look. The device can be recharged using the same plans that are available with the first generation JioPhone. JioPhone 2 comes with a 4-way navigation key. In terms of connectivity, the device will feature LTE Band 3,3,40, 2G Band- 900/1800 4G. The device is capable of conducting LTE Cat4. The JioPhone 2 is also capable of using VoLTE and VoWiFi for calling over the internet. The device can take dual SIMs (nano). The screen is 2.4-inch QVGA display. It comes with 512MB RAM and 4GB of internal storage. A 2000mAh battery powers the new JioPhone 2. The phone can also house an SD card up with memory up to 128GB.